River North began in the late 1970s when dealers and artists were drawn to the neighborhood's expansive, former manufacturing spaces. The intersection of Superior and Franklin streets is the nexus of the district today, and many new exhibitions generally open here on the first Friday of January, March, May, July, September and November. 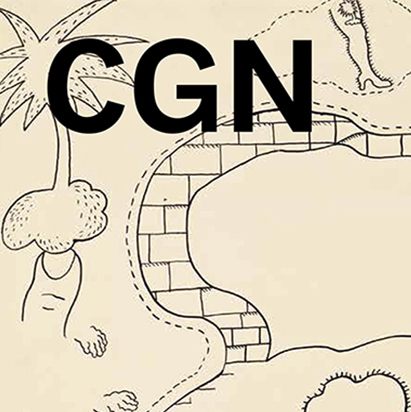 On Saturday mornings at 11am CGN hosts free gallery tours departing from 714 N Wells. The West Side is comprised of a range of art spaces – large and small, emerging and established – in West Town, Ukrainian Village, Kinzie Corridor, West Loop / Fulton Market, Humboldt Park, Garfield Park, and beyond. Many galleries continue to move to West Chicago Ave. beyond Addison as well as to formerly industrial spaces on W Carroll and Fulton. South of the city center, galleries, museums and unique artist communities can be found in several neighborhoods, such as in Pilsen, Bridgeport, and Bronzeville, as well as Hyde Park, where you will find several museums affiliated with the University of Chicago. Nearby Jackson Park/Dorchester is home to artist Theaster Gates’ Stony Island Arts Bank. In the heart of downtown along Michigan Avenue, from Oak Street to the Chicago River, through Millennium Park to the South Loop, you'll find The Art Institute, the Chicago Cultural Center, the MCA, the Museum of Contemporary Photography, the School of the Art Institute, The Spertus Institute, and world class public art. Museum Campus is the lakeside base for the Field Museum, the Adler Planetarium, and the Shedd Aquarium. Chicago's North Side covers a substantial number of neighborhoods, since it begins approximately at North Avenue and extends up to the city's northernmost boundary in Rogers Park. Active art districts in the area include, but are not limited to, Lincoln Park, Lakeview, Old Town, Bucktown, Logan Square, Lincoln Square, Andersonville, Ravenswood, Uptown and Edgewater. Beyond Chicago's city limits, a vibrant art scene extends in all directions. Chicago suburbs are numerous and filled with galleries and art centers as well as local museums. We also feature many spaces located over the Illinois border into nearby Wisconsin, Michigan and Indiana. CGN is proud to be a growing resource to art throughout the Midwest!